Tomorrow’s business leaders will face challenges that are defined by two features: complexity and convergence. As we all know and see in our own day-to-day work experiences, the boundaries between functions, business areas, and roles are becoming increasingly blurred. Individuals are taking on an ever-increasing diversity of tasks, because hyperconnectivity, spurred by the technological revolution, is enabling those tasks to become ever more entangled. Technology arrows like glue through the workflow. This is good; for productivity, job satisfaction (more dynamic, less monotonous work experiences equal more engaged employees) and overall business cohesion, as individuals are empowered to see tasks from a holistic perspective. But it also means it’s harder than ever to elevator pitch our roles: 20 years ago, you had copywriters, simple. They typed and they typed, and then they sent their work to somebody else. Now, it’s rather more complex. Copywriters operate as digital creatives, combining a multitude of skills to research, write, publish and promote content. This is one among countless examples – and effectively dealing with the complexity and convergence factors only grows more integral as individuals progress higher up the corporate structure. These challenges will require a revolution in leadership – a new generation of leaders who can thrive and produce results across systems by calling on an innovative, adaptable mindset. Traditional leadership development programmes are strong but often situation-specific and do little to cultivate an adaptable mentality that can be applied to any of the million roles a potentially revolutionary leader could progress to. What businesses and Learning and Development teams need to meet this demand is a new way of releasing the potential of their future leaders. A new way that slots neatly into, or effortlessly complements, existing development programmes. As the World Economic Forum’s 2016 Future of Jobs report indicates, one of the fourth industrial revolution’s two most important skillsets is that new way: critical thinking. But how exactly does critical thinking work? How can the development of these higher-order cognitive skills help your future leaders release their potential and cope with the dual challenges of complexity and convergence? Organizations are systems. Integrated, complex compositions of many interconnected networks (both human and non-human) that must work together for the whole to function successfully. And these systems operate – and compete – in an even bigger system, the global economy. This kind of high-level understanding is the traditional preserve of the c-suite, the big-hitters. But now, as explained above, it’s vital that leaders throughout the corporate structure are able to acquire it. The ‘holistic perspective’ is more than a gimmick (though many are culpable of using it as one). It means acquiring a 360-degree perspective of the business, and tweaking strategy to integrate and align decision-making with the central business vision. This is difficult. How can one relatively inexperienced leader possibly understand every priority, stakeholder, and direction a large business must navigate? Well, it’s not easily accomplished, but it’s certainly better than the alternative, what economists call suboptimization, the result of focussing on one part of a system in isolation from its whole. Developing future leaders’ critical thinking hands them the keys to fluent systems thinking. It illuminates the many shades of a business, from finance to supply chain, procurement to marketing and yes, even L&D. More importantly, it illuminates the connections between these things, connections that, according to systems thinking luminary Peter Senge, are best learned through direct experience. It’s inevitable that future leaders will be thrown in above their heads at some point in their career. Rather than allowing that to be their crash course in systems thinking, L&D should give them the grounding of critical thinking training at the earliest opportunity. By doing so, they’ll elevate leaders above a single function and equip them with a wider vision of their organization. When they make the step up, they’ll be as ready as it is possible to be. Complexity and convergence demand versatility. Critical thinking inspires it. If future leaders cannot adapt to new tasks, priorities, roles or team cultures, they will fail – or at least, be nowhere near as successful as they could be. Formally teaching critical thinking is a sure measure L&D can use to help leaders learn how to learn new things better. That’s because, even though change is a constant, when armed with a critical thinking mindset, leaders realise its implications are often the same: work alongside new people (with different motivations, cultural outlooks and levels of intelligence), find new flows of information, learn new things, and apply learnings in new ways. Critical thinking inspires this versatility by giving leaders the cognitive toolkit to reason with, analyse and evaluate the situation they’re in before making any rash, counter-productive decisions. It also helps them to think creatively (a natural prerequisite to adaptability) about their new situation, giving them the confidence to cascade fresh ideas that existing teams are often too entrenched in routine to consider. With critical thinking, recently promoted or transferred leaders can abstract themselves from the stress of a particular mistake, and see the mistake is not a reflection on their inability – but an opportunity to adapt further to their new role. They set more realistic deadlines based on the task and situation at hand, rather than those the leader is used to dealing with in previous environments. It’s about learning to be “comfortable being uncomfortable.” And master critical thinkers are the masters of that. For businesses to be iconically successful, they need protagonists. People like Steve Jobs, Warren Buffet and Richard Branson; people who come to define and embody the company they work for. When we say protagonists, we don’t mean individualistic characters. We mean selfless leaders who commit themselves to driving the story of an organization forward from instability and conflict to equilibrium and triumph (repeatedly, because good organizations, unlike good stories, never end). To become protagonists, leaders don’t just plan, they proactively instigate and deliver through innovative action. Which leads us back to critical thinking – when taught properly, it is more than a set of foundational thinking skills (analysis, reasoning and evaluation) that help people see business situations clearly and objectively. It’s a toolkit for driving action through interpretation, creativity and problem-solving. With these skills, leaders are given everything they need to turn great ideas into great results. True, the majority of future leaders won’t magically blossom into the next Steve Jobs, no matter how much training they receive. No matter: by equipping them with a cognitive imperative to continually turn their ideas and thinking skills into measurable, problem-solving actions, it becomes much easier for L&D teams to show how the leaders they develop are driving real-world business impact. The results of these leaders’ teams can then be used as evidence when evaluating and reporting the impact of L&D strategy on high-value groups. When it comes to coping with complexity and convergence, critical thinking protagonists are key. Not only are they adaptable and open to new information and roles, they embrace the requisite 360-degree view of your organization and turn their expert understanding into tangible business success through an action-oriented mindset. Clearer thinking and smarter thinking, critical thinkers don’t view complexity and convergence as an unscalable cliff. Calling on their holistic, innovative, goal-focussed minds, they see them as steps to their organization’s success.  Macat offers a range of solutions to help employers, educators and individuals assess and improve critical thinking skills. Click the links to find out more and request further information. Newer PostCritical thinking and the bottom line: are organisations ready for the ideas economy?